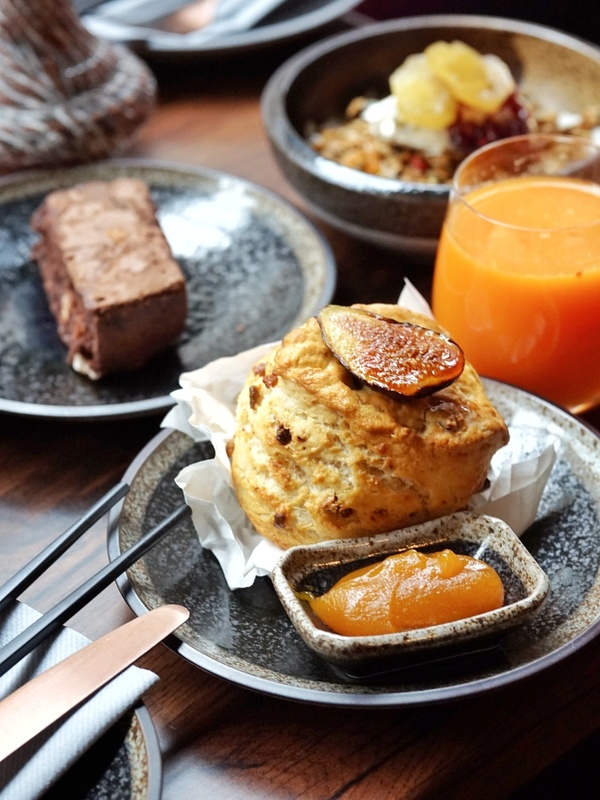 when one thinks of brunch in london, soho is not the first place that comes to mind. soho is for the evening; the hundreds of sandwich boards proclaiming the best pre-theatre deal in town will confirm that the minute you step off the tube, as will the dazzling lights and queues of people outside the many ticket offices and stage doors that punctuate the streets of the west end. 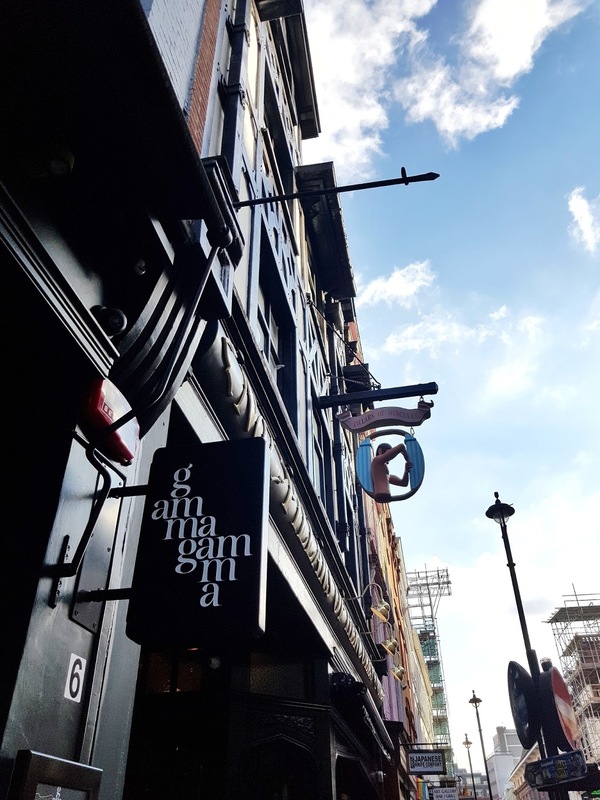 so when a press release landed in my inbox proffering the "new brunch menu" at soho's latest tapas bar gamma gamma, i was curious to check it out for myself. and that, dear readers, is how i ended up in london's soho on a frosty saturday in january, before midday. i might have been the very first person to arrive, but i wasn't the last to leave. within an hour, the 60 seat space at the top of greek street had filled up, and the soft, atmospheric music that welcomed us an hour earlier was barely audible. not in a bad way, of course, in a way that meant everyone inside was either chatting over the interesting menu, or noisily appreciating their meals. i was both of those people during the visit. 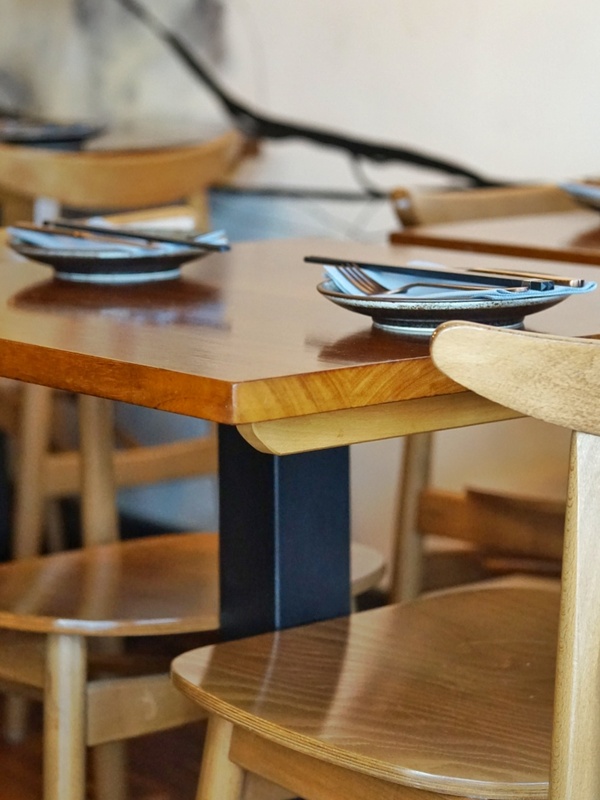 the menu is very simple - as in, there's not a ton of options to choose from, but the options themselves are anything but simple. with menu items for the carnivores including large plates of gin spiced lamb bacon with sake cured egg, overnight tomatoes, orange blosson labneh with date ketchup and pomegranate to a unique pan-asian shakshouka of avocado chunks, eggs, mergues sausage, and an alternative of home cured wagyu corned beef hash with eggs over easy, and a chilli miso jam. 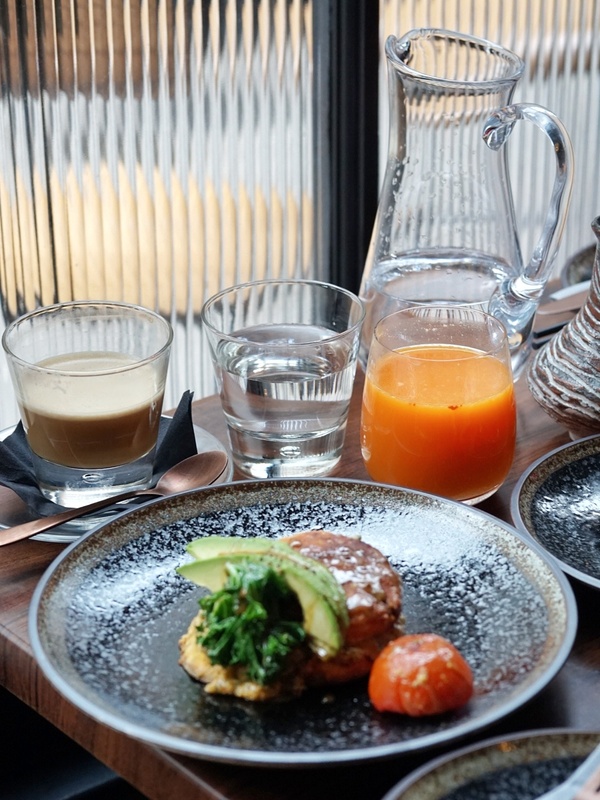 i went with the veggie fry up, which was a sweet poato toast and quinoa fritter with a tahini and date molasses with overnight tomato and kale. it apparently had cashew nut cheese too, but.. i don't think mine did. for £10.50, it was a steal; i didn't manage to finish the plate - though maybe that's because i had a freshly-baked figgy scone with kaya jam waiting for me. 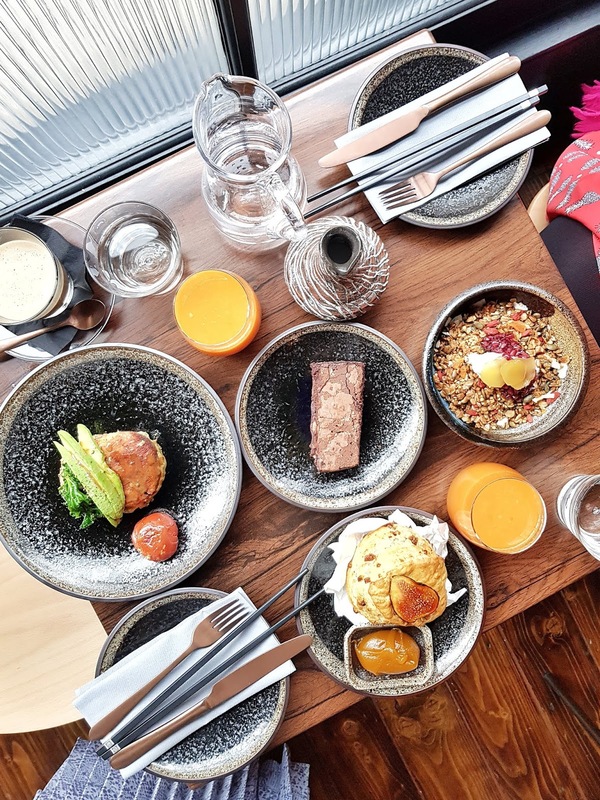 the dish sounds odd, but honestly, it was so tasty - the sweet potato was sweet and moreish, and the tahini and quinoa cut through with the savoury goodness. it was a hearty serving, but could have done with more kale if i'm being honest - more greens to break up the carbs is always nice. jasmin went with a bowl of home-made granola with sunflower and pumpkin seeds, dates, apricots and figs, with some stem ginger she did not enjoy, with some yoghurt, pomegranate jam, and whole milk. sounds a lot, but it was a decent portion for someone who'd gone without breakfast, and was pretty reasonably priced at £7.90 - again, she didn't finish the whole thing! the restaurant's bakery options are pretty fancy, if the "figgy scone with kaya jam" hint didn't give that away. again, it's a short list of items that includes flourless orange and almond cake, and dark and white chocolate brownies to round out the three options, each around £3.50. they're enormous though, and both jas and i had to take half of ours with us as we left. 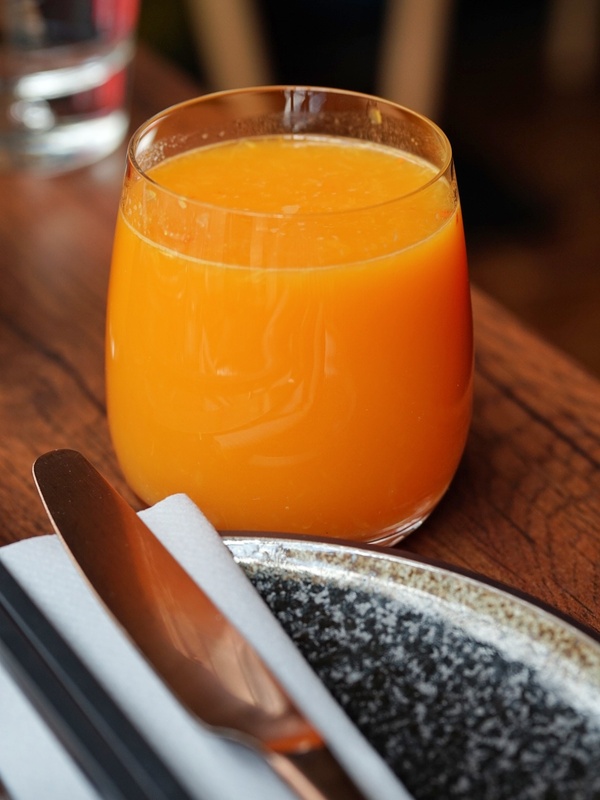 we washed it all down with fresh juice from the kitchen, and me, a coffee because i was struggling in a big way. the juices were all terribly posh sounding, but really bloody tasty. we both went with the tumeric, orange, pineapple and carrot - they're tiny glasses though, for the pricetag (£4.90 for a small tumbler), but really, very refreshing. 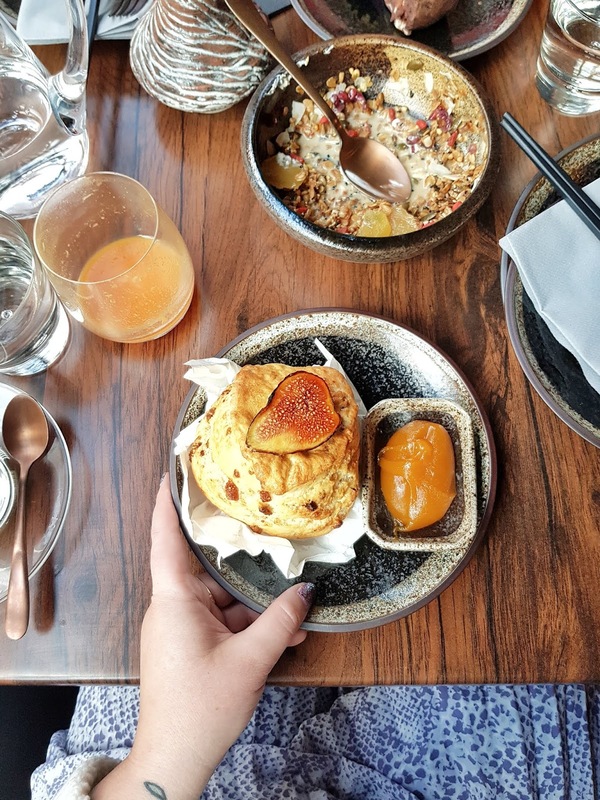 there are also options for the brunch traditionalists, too, but why would you choose those when there are the quirky, pan asian inspired ones to choose from. 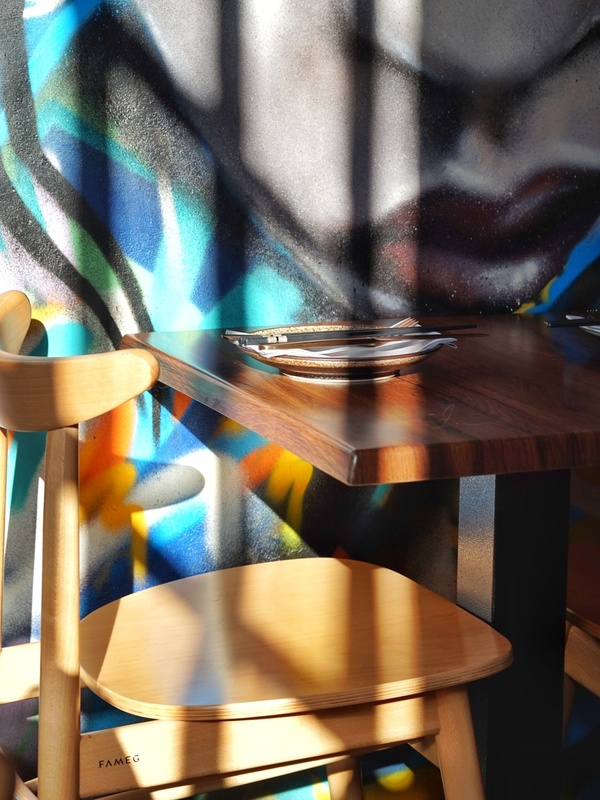 the interior of the restaurant was so bright and colourful, and really very light-filled too. 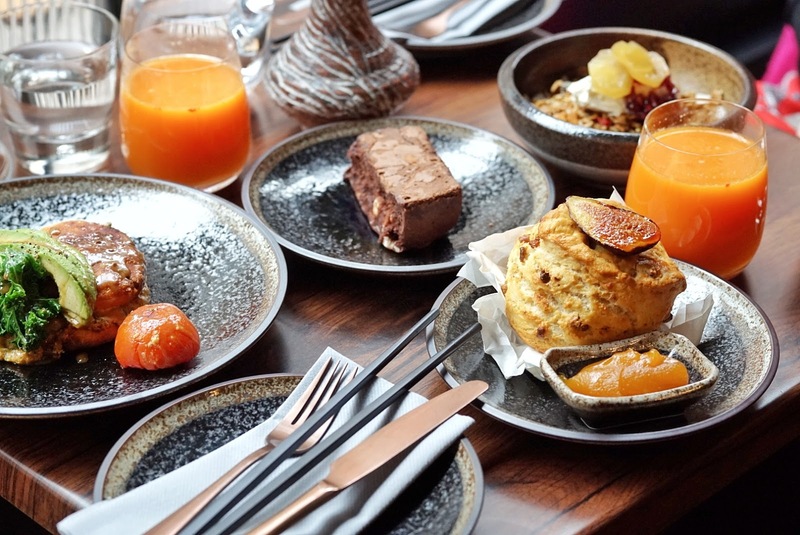 i was a huge fan of the bronze crockery and pretty pottery, obviously, but not sure what the chopsticks on the table setting was for - i couldn;t see anywhere on the brunch menu that they would be needed. perhaps the regular menu calls for them - i'll have to go back to find out! and i definitely will be going back. it's not a far stroll from work, and i'm keen to see what else the restaurant has to offer outside of the tasty new brunch. 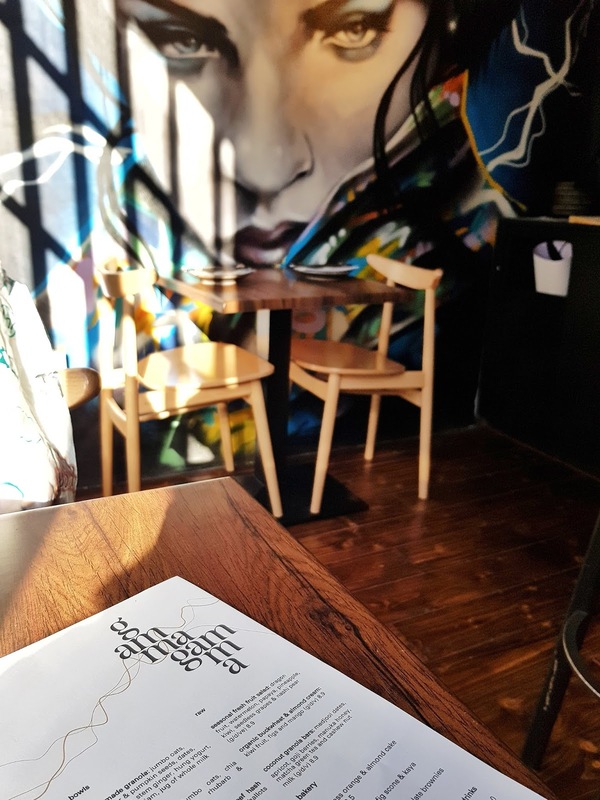 while chatting with the owner, he asked what we thought could make the menu more competitive, and honestly, our only suggestion was to make it boozy. 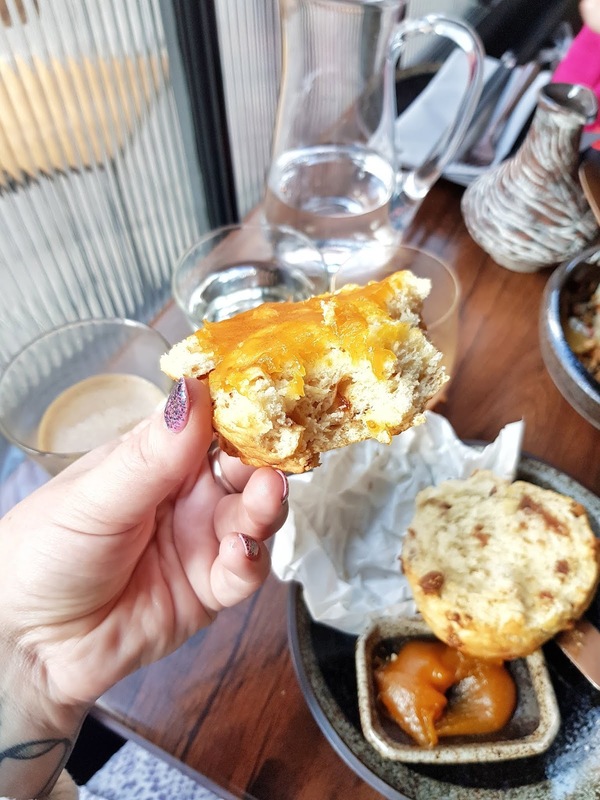 it's a shame that that's such an important element of brunch these days, but to stay competitive in london you can't just serve great food, sadly. 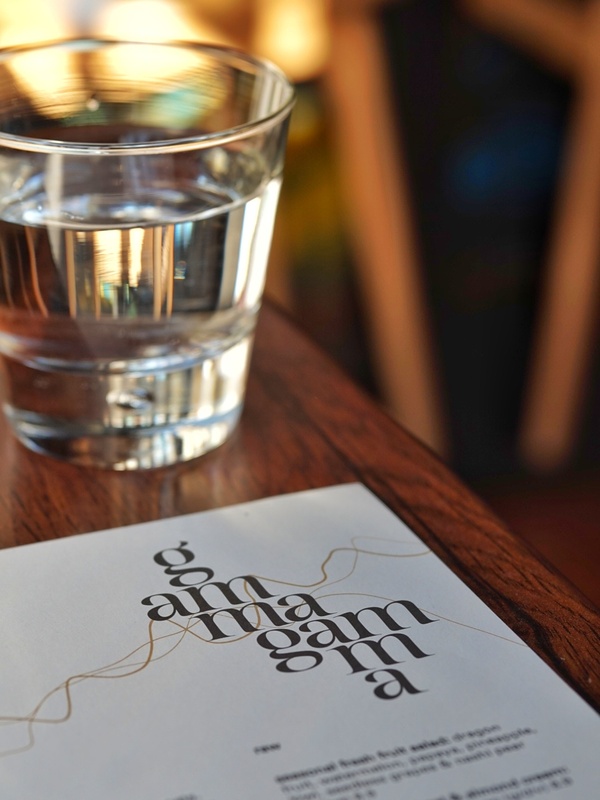 if you fancy trying gamma gamma's new brunch menu, you can find them at 6 greek street, w1d4de. check the menu out yourself here. 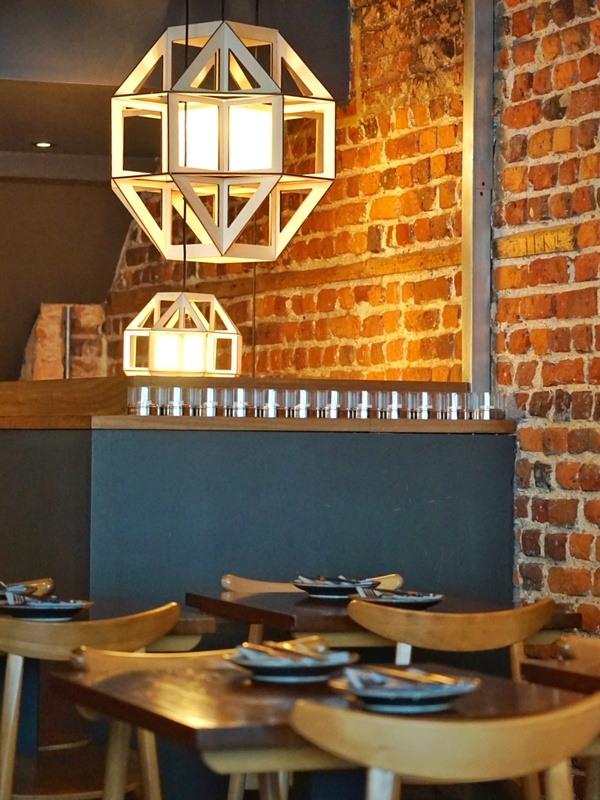 full disclosure: i was invited to review the restaurant, but all words are my own.